Hills Books has been the main supplier to schools, libraries and colleges in Cumbria since 1975. We supply any book from any publisher at highly competitive discounts and free delivery throughout Cumbria. We offer a book jacketing service free of charge to all Cumbrian schools, colleges and libraries and our experienced staff are on hand to offer expert advice. We have the largest showroom in Cumbria where we welcome visits from teachers and pupils. 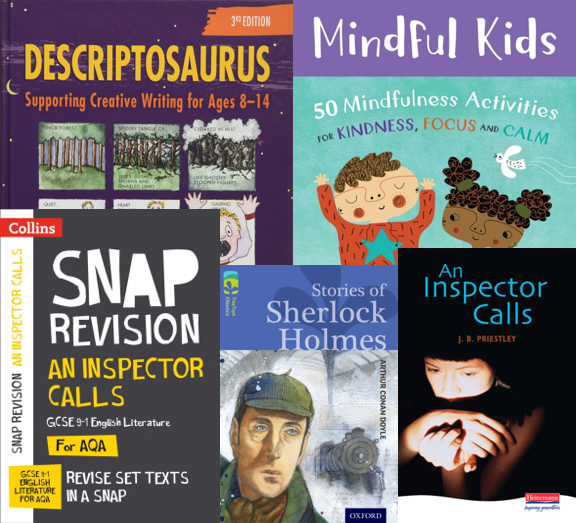 Our extensive range covers everything from children’s fiction and non-fiction, reading schemes, educational books and teaching resources. We supply student books and teaching resources from all GCSE/A Level examination boards and all publications for higher and further education. We can do book fairs for schools where collections can be tailored to your specific needs and the school earns commission on all sales. We are also an official supplier and receiver of National Book tokens, which make ideal pupil prizes. Accelerated Reading – Book Bands – Power of Reading – New National Curriculum + many others. Fully supporting the KS3, GCSE, A LEVEL & Further Education Curriculum. We have a dedicated area in our showroom where books are displayed in Accelerated Reader level and we offer AR labelling free of charge – including free book jackets. Visit our showroom, general public sales are welcome!